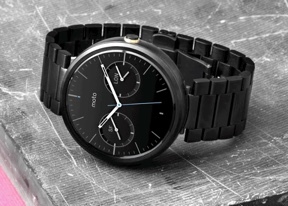 Announced back in March, Motorola's Moto 360 is undoubtedly one of the hottest wearable devices of the year. The Android Wear flagship is the first device of its kind to effectively blur the lines between a smartwatch and a regular mechanical timepiece in terms of design. We call the Moto 360 an Android Wear flagship for a good reason. The gadget is the first and will probably remain the only smartwatch developed with direct input from the search giant. Motorola only recently changed ownership from Google to Lenovo. 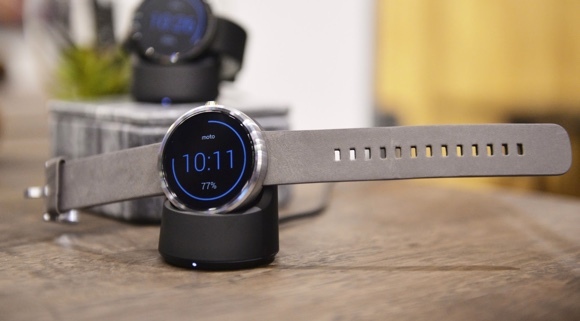 Moto 360 is unique not only because of its appearance, but internals too. Motorola's creation is the only Android Wear device to swap Qualcomm Snapdragon 400 for a Texas Instruments chipset. Check out the device's key features below. Motorola Moto 360 lags behind some of its competitors in terms of hardware specs, though this is hardly a surprise. After all, the device is one of the first Android Wear products to hit the market. The smartwatch appears to make up for its hardware shortcomings with looks and broad appeal. None of its competitors can match the variety of styles that Moto 360 is available in. We will kick our Moto 360 review with an unboxing, followed by a look at its design and hardware. Head over to the next page for a closer look at the smartwatch!